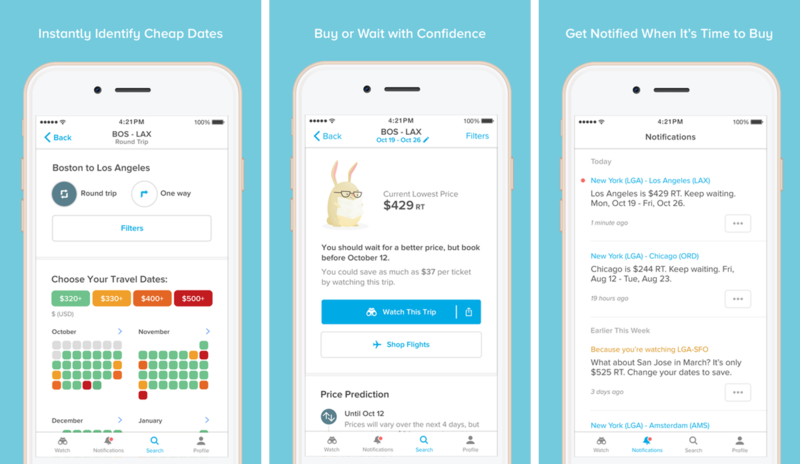 Hopper is helping its users save up to $1,300 on airfare by predicting when ticket prices are set to drop. While its users were saving money, Hopper raised some its own. A whole $61.2 million to be exact. Buying airplane tickets can sometimes be just as unpleasant as a long, uncomfortable flight. Existing booking websites and price aggregators can be hard to navigate, and there seem to be a lot from which to choose. It is often an issue of too many options and too much information, and then not really knowing how to zero in on the best value and cost savings. Hopper is an app that takes those loads of data and uses them to take out the stress of finding the best flights. 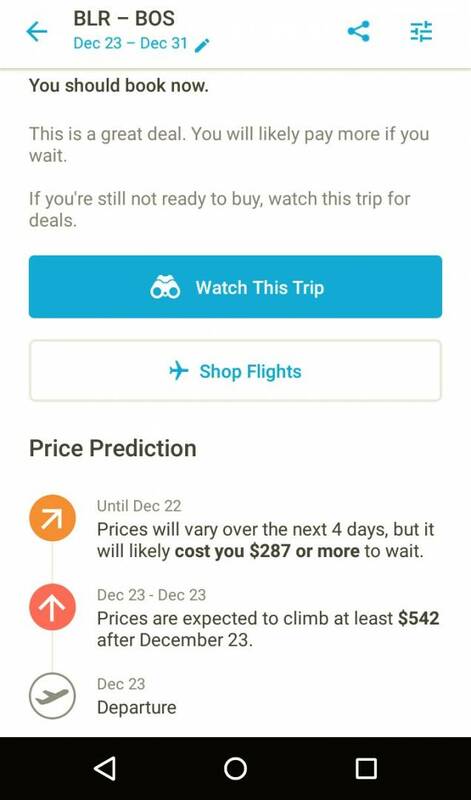 The airfare prediction app (and ultimately airfare savings app) saves users up to $1,300 ($50 on average) on tickets by predicting when ticket prices are set to drop; its pricing forecasts are spot-on 95 percent of the time. The service’s stellar track-record helped it close a $61.2 million funding round last week. Like travel booking app Cinch, Hopper makes use of big data to find the best deals on airfare. But it doesn’t just aggregate pricing information from different airline operators and display the lowest number among those–oh no, it does something a lot smarter than that. The software first studies historical pricing information from trillions of flights. It then looks for trends–how fares vary with season, day of the week, between different operators, etc. It then uses what it gleans from historical records to predict what the best time to purchase a ticket is within a particular window. Hopper has its users start by providing standard travel app details: start and end points, and whether it’s a one-way or round trip journey. The filters let you choose an option that displays basic rates that may mean flying with more restrictions, as well as choosing between nonstop flights and ones with layovers. Finally, you pick travel dates. Since the app predicts variations in airfare over time, it is most helpful when your itinerary has some wiggle room. Once it has the information it needs, Hopper first displays the current lowest price for the tickets you’re trying to book. Then the big data intelligence kicks in, and the app tells you how prices will vary in the period around your travel dates. For a hypothetical trip to visit my cousins in Boston (from Bangalore, India) that I key in, Hopper lets me know that I should book tickets right away. Then it tells me why: prices are expected to climb by $287 over the next 4 days, and then by at least $542 in about a week. I’m not actually making that trip, but it’s nice to know Hopper has my back if I was. The app has a “Watch This Trip” option, for when you don’t need to lock down dates immediately. Users are sent notifications about sudden variations in prices and projections over time. Once you’ve found a deal you’d like to take advantage of, Hopper leads you to the site where the tickets are available. So it doesn’t help simplify the booking process, but at least you know you’ve made a judicious choice and saved a bunch of money. Hopper has received a number of accolades for its powers of price prediction. It was named among the best apps of 2015 by Apple, and Google gave it the Standout Startup award at its inaugural Google Play Awards. The attention has translated to a steadily growing users base, helping amass 4.5 million combined downloads on Android and iOS. With a monster round of funding in the bag, Hopper is riding high–along with its users. Even if you do not use the app and are into big numbers you can really see how that information can save the consumer money. Its a great thing! I cannot believe how easy this app seems to use. The other thing that is amazing to me is that with all of the price matching and watching sites out there, this has not come a long much sooner. Big data can go a long way! There is so much of it out there and the companies that can find a use for it are really making things happen for the consumer! That is a SHITLOAD of money! Wow, the funding for an app like is usually not even half of the $60 million it brought in on its own. I hope to see the app succeed. Flying is not cheap and I recommend this app. There is so much to save if you can shift your vacation around a little! Awesome! I never even thought about looking up an app that could save me money on airfare. Thank you for sharing! The app is awesome. I just moved a vacation just 3 weeks and saved around $350 on my flight total! Another industry that does not change much in the way of the consumer saving money. These apps are a savor and when you are talking about dropping $1000 for two to fly somewhere, saving a couple of hundred is great!